Saturn, the teacher difficult, is a slow and very powerful planet. He is the ruler of longevity, aging and death and controls the practice of yoga and denial of the material world. 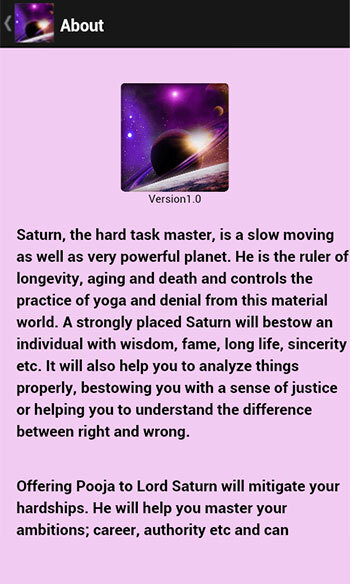 A Saturn firmly placed shall grant an individual with wisdom, fame, long life, sincerity, etc. Also will help you analyze things properly, giving a sense of justice or to assist in understanding the difference between good and evil. 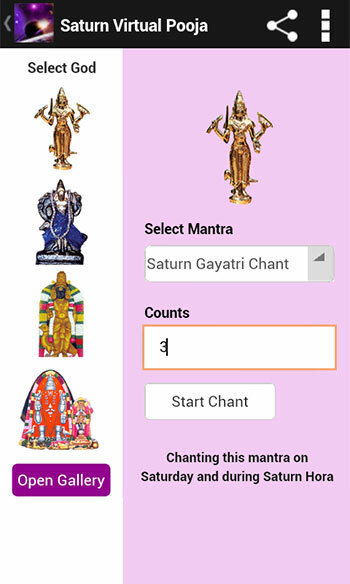 However, if Lord Saturn is ill, it can bring disappointments, anxieties and miseries. Disputes, disharmony and delays will also be seen by Saturn misplaced. Premature aging, accidents, drug addiction, prison, etc. 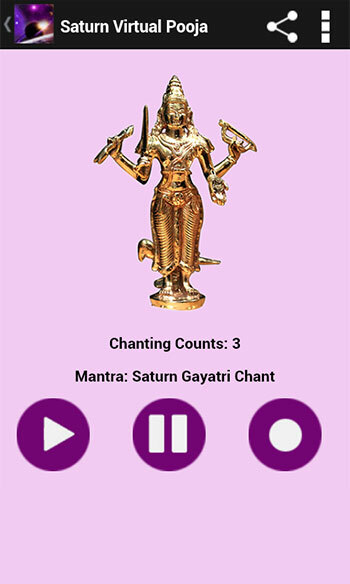 There are also some important things that can occur due to the misplacement of Lord Saturn. 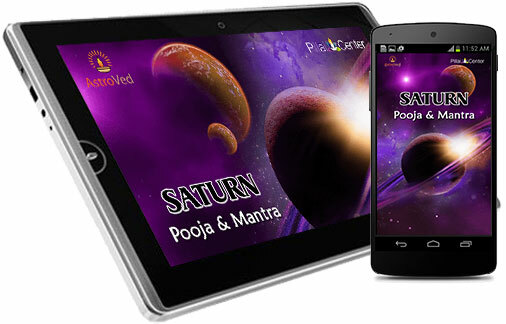 Offering Pooja to Lord Saturn reducing hardship. He will help you master your ambition, career, authority, etc. and can improve your sense of duty, discipline and responsibility. Also ensure happiness in your life. 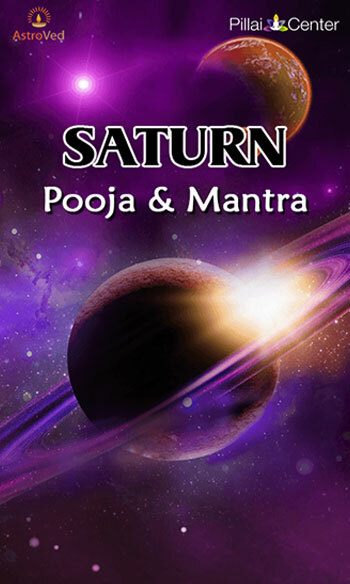 You can offer your prayers to the Lord Saturn through Saturn Pooja & Mantra application that will help you get the blessings of Lord Saturn.